Available and back ACTIVE on the market! Excellent property and the best value in a prime area of Pomona, CA. 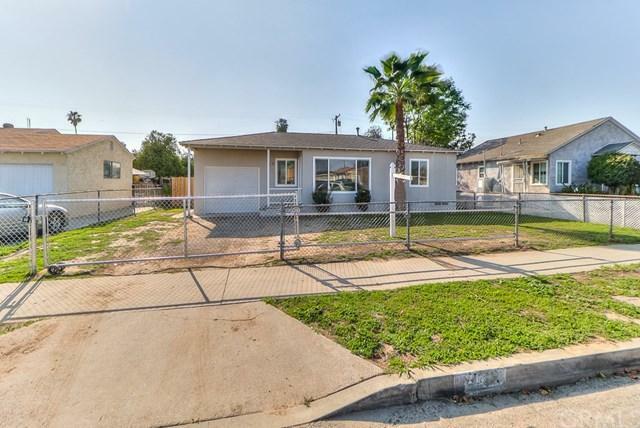 Located right on the Pomona/Chino corridor, this fully rehabbed and upgraded home features a brand new roof, brand new windows, brand new fixtures and amenities, brand new garage door, new copper plumbing, and all brand new flooring throughout this fantastic home. This quaint property is located on a large, flat lot, with plenty of space to add living space or custom landscaping. Priced to sell quickly and an excellent starter home. This property shows as a brand new home! The neighborhood is a quiet, tree lined street with pride of ownership and longtime owner residents. Property is located within close proximity to all major shopping, entertainment and transportation centers of Chino and Chino Hills. This Property shows like a Brand New Home, and Features a 1 car garage with large driveway area and rear yard access. Home features an over sized backyard with a extra space perfect for gatherings. Centrally located to the 60 fwy, 71 fwy and 10 fwy. Only minutes away from Chino hills, Diamond Bar, Chino and major Shopping.